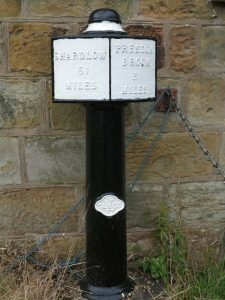 Unusually, this milepost is NOT at its original location, which is why the lettering is painted over (as the mileages are therefore wrong by around half a mile). 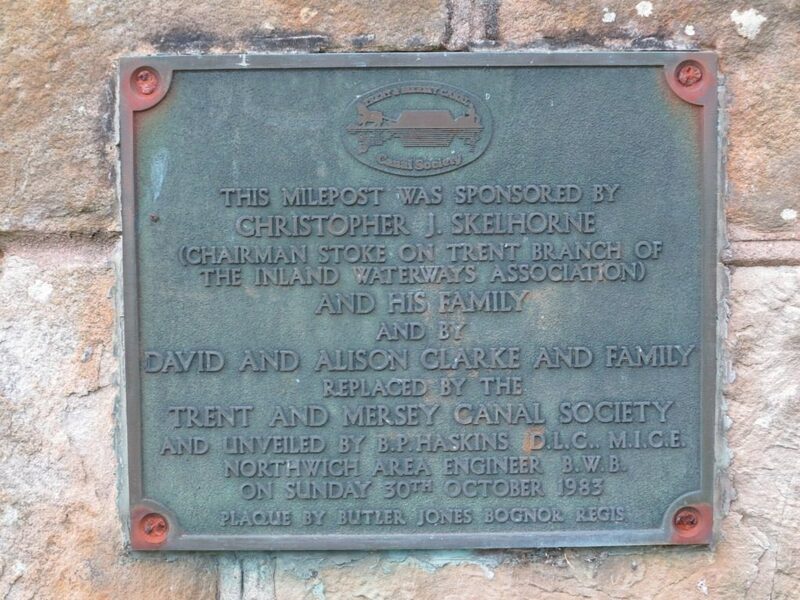 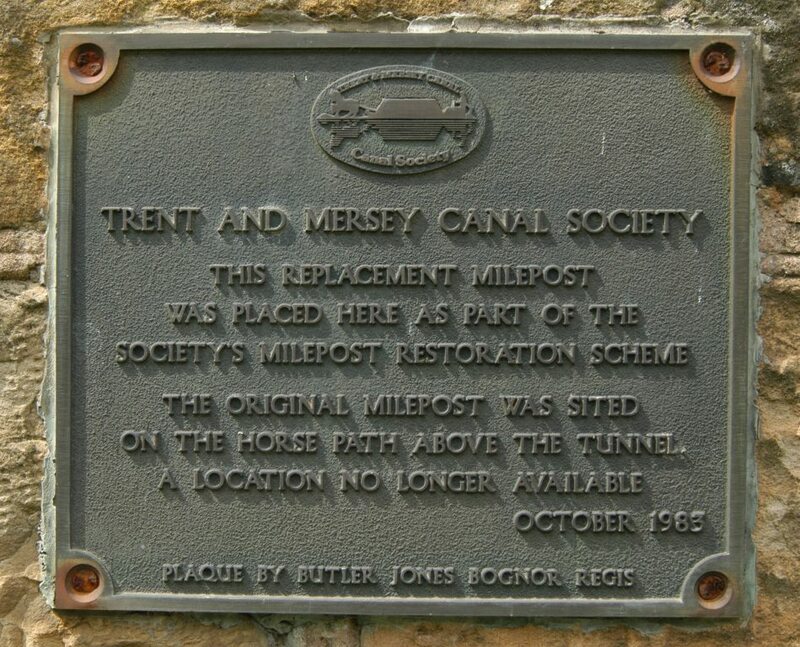 The original milepost was sited on the horse path above the tunnel, a location no longer available, as this plaque explains. 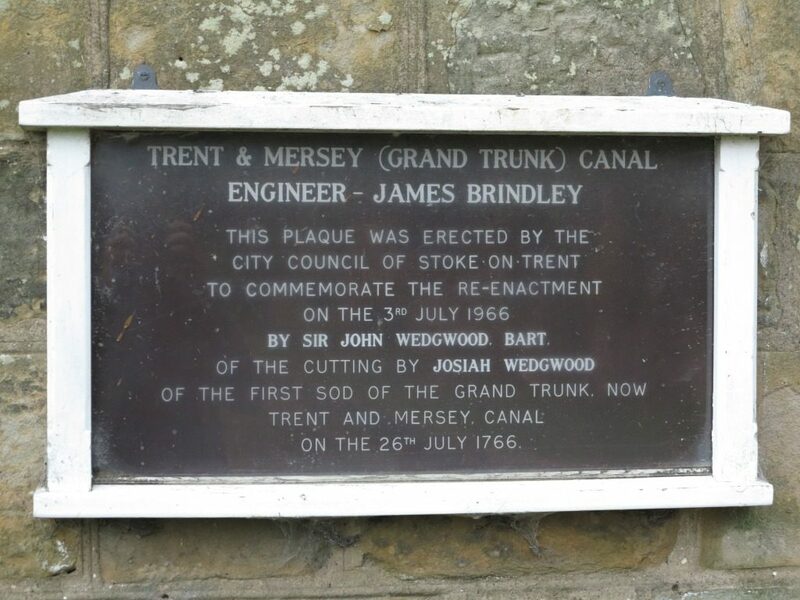 There are two other plaques here. 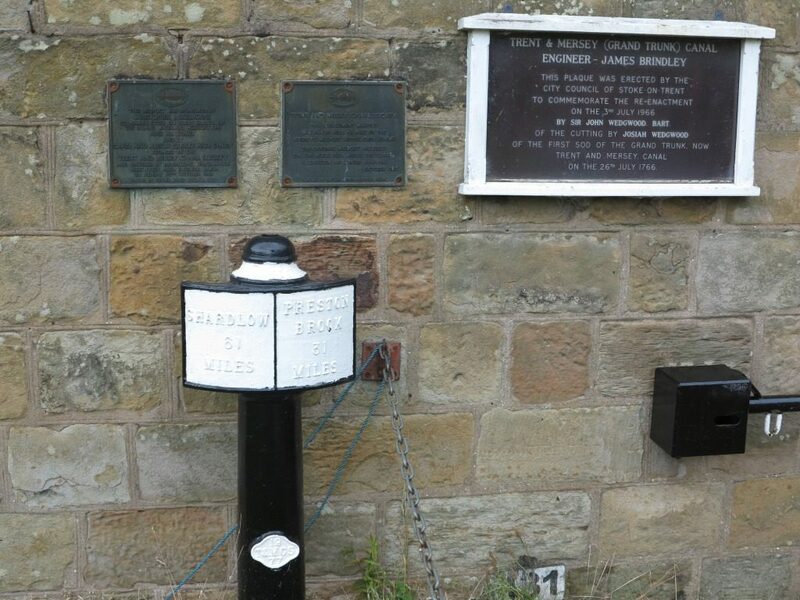 The first commemorates the re-enactment on 3rd July 1966 of the cutting of the first sod (which took place nearby on 26th July 1766). 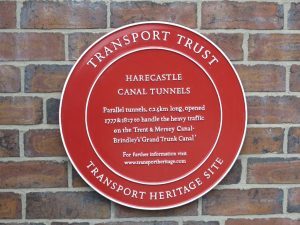 The final plaque is a much more recent Transport Trust Plaque on a nearby building. 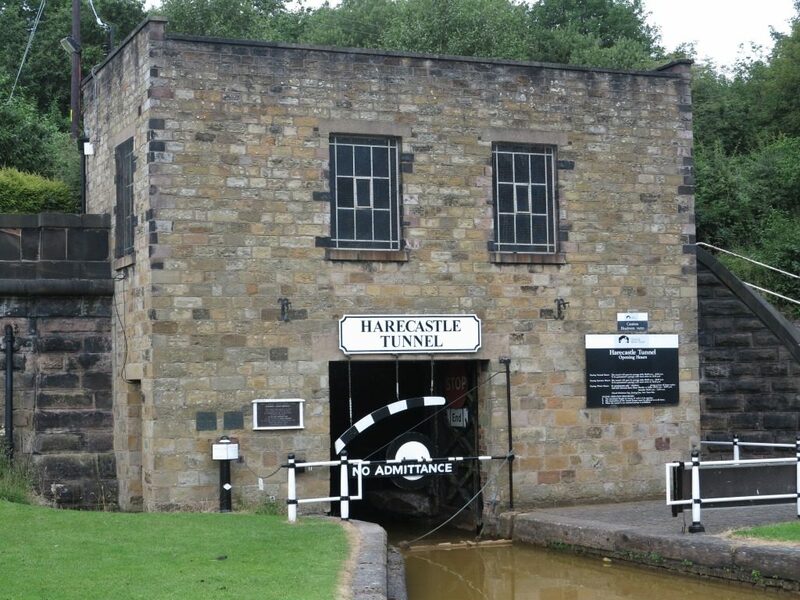 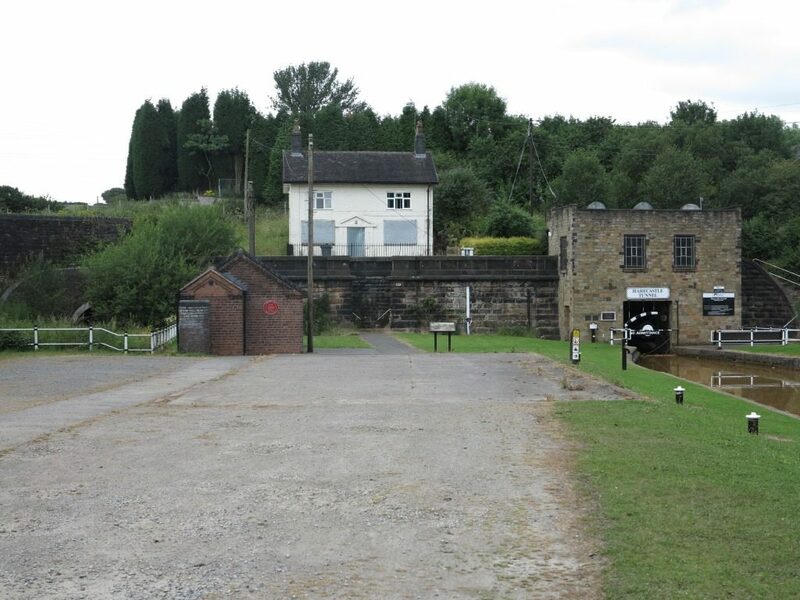 Finally – Area view with old Brindley tunnel on the left and the boarded-up tunnel keepers house above.